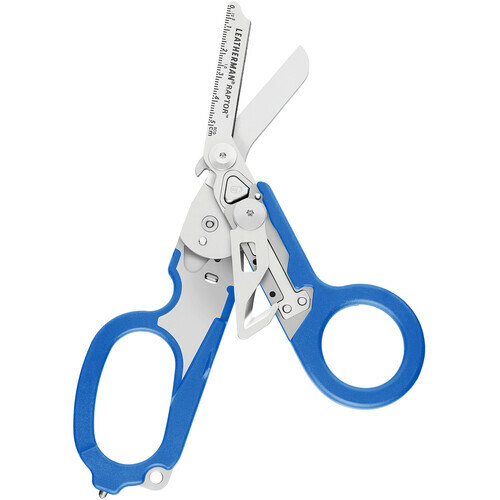 The Leatherman Blue Raptor Shears has six tools designed for first responders, EMTs, fire professionals, tactical field medical personnel, or anyone interested in emergency preparedness. 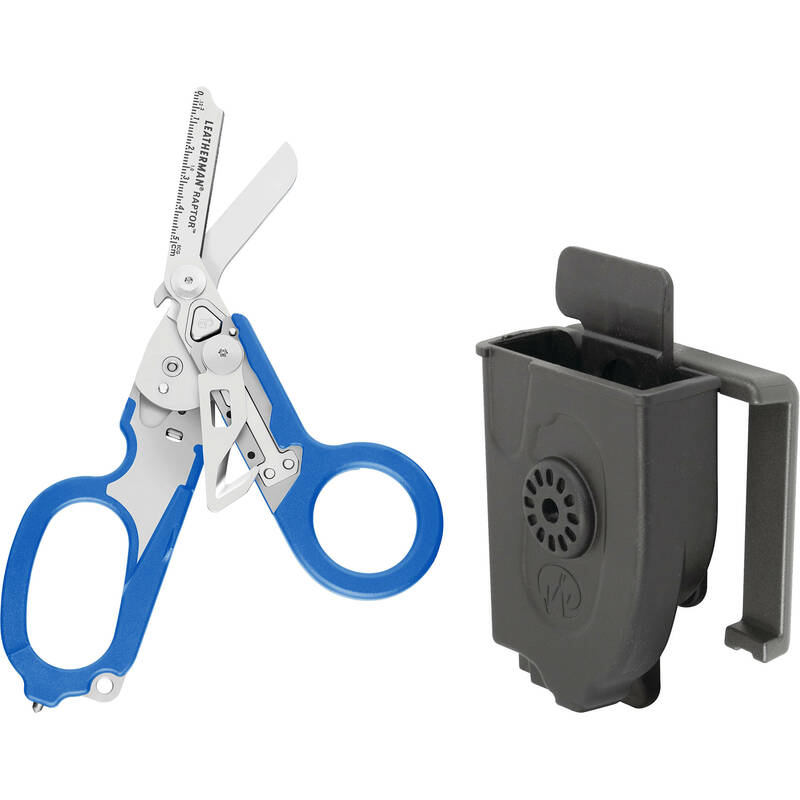 This medical-style shears folds into a compact form factor to make it easier to store and carry and is made of high-strength 420HC stainless steel. As with any Leatherman tool, this is a multi-tasker with the addition of a strap cutter for seat belts, a ring cutter to quickly remove wedding bands or other rings that are stuck due to swelling, an oxygen tank wrench, a carbide glass breaker, and a 2" ruler on one of the shear blades. The included holster is designed to fit onto utility belts and will carry the shears open or folded, depending on your preference. Additionally, with a simple adjustment you can set the draw angle of the shears, so you can pull it out at different angles based on where you are carrying it for easier and faster use.